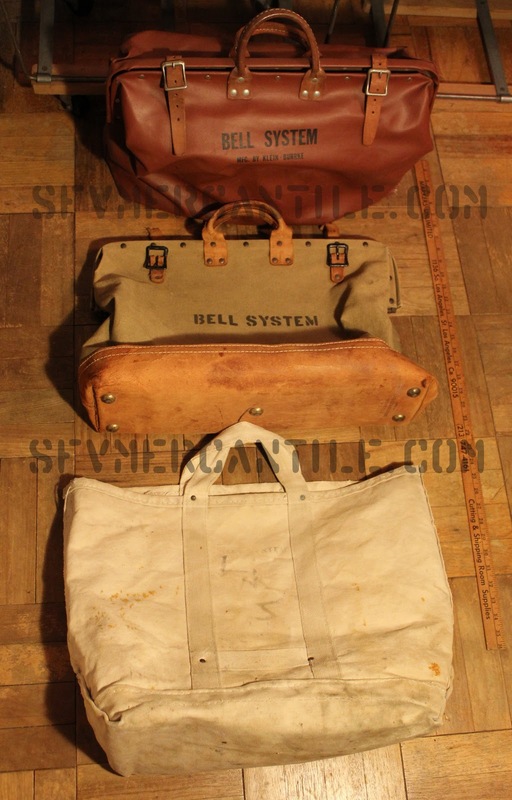 • Inspired by vintage Bell System canvas work bags. • 24oz #4 natural duck canvas. • Rivet reinforced at all points of strain. 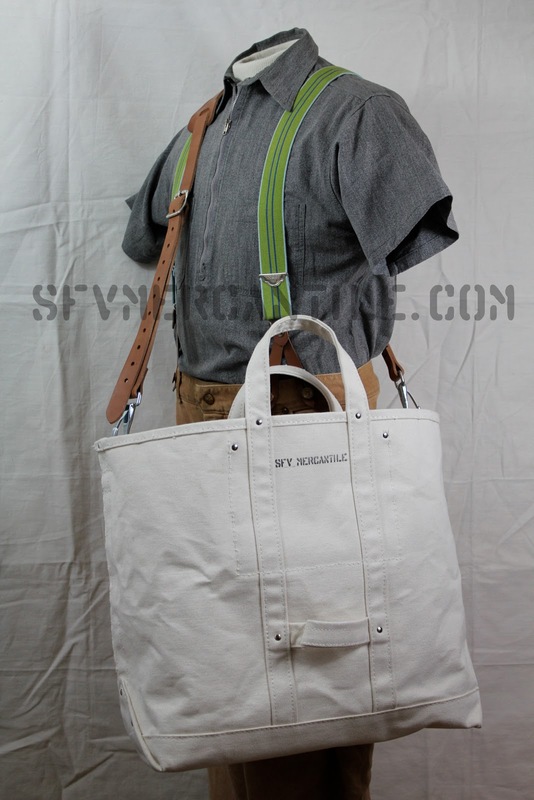 • Removable canvas shoulder strap. Also available with optional leather strap. • Inside pocket with The San Fernando Valley Mercantile Co. printed label. • Vintage stencil from manufacturers archive. • Made in USA since 1918. 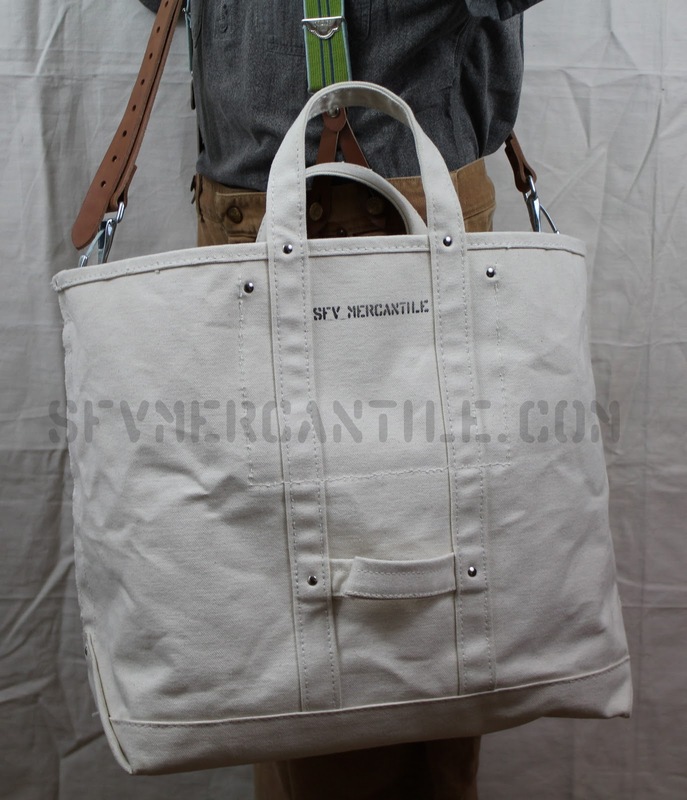 $90 with removable canvas strap. $130 with removable adjustable leather strap. Contact us at sfvmercantile@gmail.com for more information or to order.